To celebrate Between The Lines’ silver anniversary, the Livonia, Mich.-based newspaper plans on revisiting milestones from the Detroit area’s LGBT history. 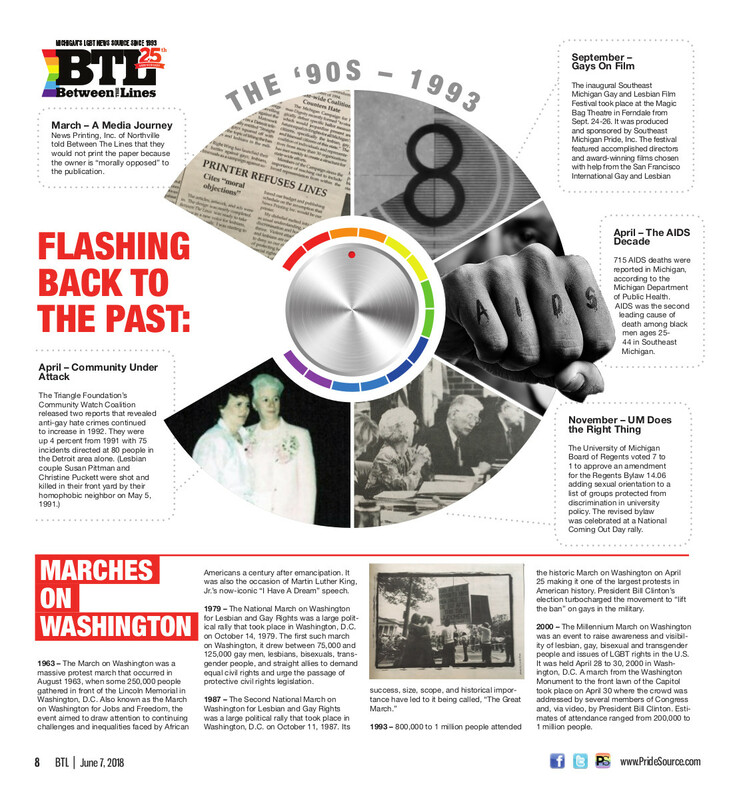 From June 2018 to June 2019, the newspaper will release regular historical graphics that take a look at some of the LGBTQ community’s greatest triumphs as well as some of the biggest bumps we’ve encountered on the road to equality, according to the newspaper in its June 7, 2018, issue. This emphasis on examining our past is in keeping with Between The Lines’ primary goal — increasing LGBTQ visibility. According to Co-Publisher Susan Horowitz, being visible in the public eye is one of the most effective ways to fight LGBTQ discrimination. 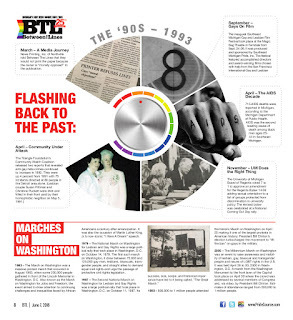 In its first graphic travelling down memory lane, the newspaper revisits the year 1993, highlighting a number of stories including a printing company that refused to print the paper on moral grounds, the inaugural Southeast Michigan Gay and Lesbian Film Festival, and the March on Washington that year.